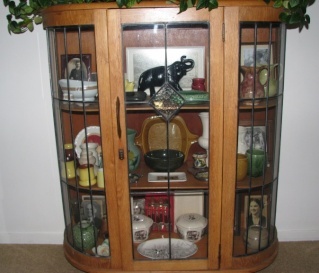 Yesterday it rained all day long so I cleaned some of my cabinets and pottery,here are some pics. Very well, here's a few favourites from My Atlantis Collection. 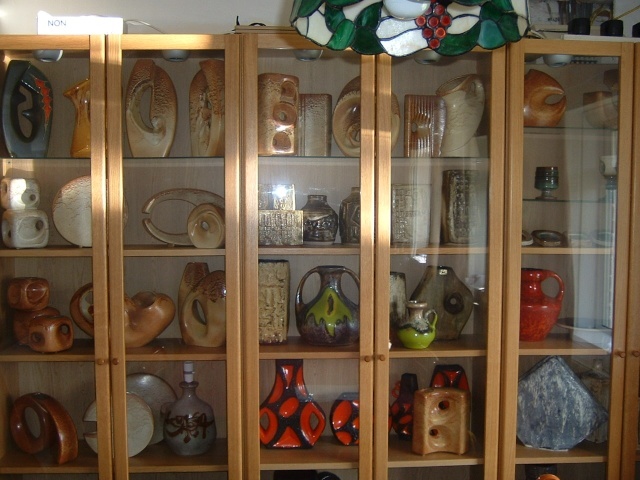 I suffer from the well known problem that all pottery collectors can relate to (apart from those with huge homes) how do I display all of my lovely collection? I have bought a bigger home to accomodate mine and have bought several display cabinets but still the cupboards are full of wonderful treasures that rarely see the light of day. Have you found good ways to show off your collection? I know Ed has some lovely cabinets I look forward to seeing lots more pics soon. 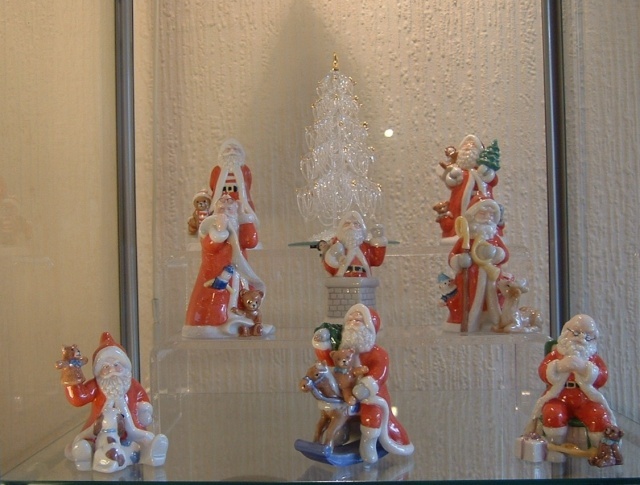 I like to work on a sort of rotation system , if I have stuff hidden away for a while and Iv'e gotten a little tired of certain pieces i will display them , we have three double cabinets and three single all glass cabinets ,we only have a small house as well , 3 bedrooms etc.but I have only about 150 or so pieces at any one time as i am flogging quite a lot at this time of year , my ideal would be to have about 50-100 real quality pieces ,both for investment and to look at , if i had thousands of pieces I would go nuts , quality more than quantity is the best IMO, I like selling and then going out and collecting again on a different quest . took a leaf out of Dan's book and took myself off to Ikea to buy some new display cabinets. They're the simple but effective Detolf glass ones, and i'm very pleased with them Will probably need about 5 or six more for the rest of my collection and don't know where on earth i'm going to put them all. Now all i need to do is get rid of the hideous wallpaper scheme that we inherited from the last owners of the flat (we've been here over 3 years now and still not got round to redecorating that room). don't know about the V&A, but i have thought of leaving my collection to the Potteries museum in Stoke should anything happen to me! tableware (only one mishap so far). The Shufflebothamesque vases are Keith Murray - I sold off a reasonable collection of hand-potted Crown Lynn when I left NZ which was a bit of a wrench so decided that collecting Keith Murray over here was the way to go. 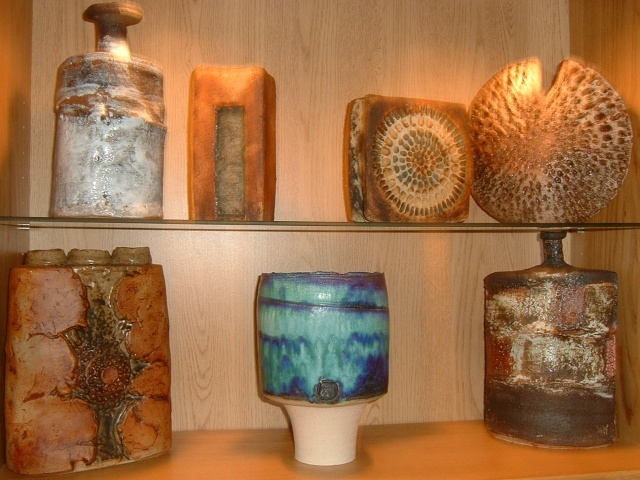 Great to see your Crown Lynn collection .... but do I note one of the infamous ginger jars lower left? Wow! - we don't see many Keith Murray pieces down here! John Parker adds a tribute to Keith and Ernie at his exhibitions these days :) Your keen eye noticed the Crown Lynn ginger jar! Yes I'm a believer :D Having a pottery background helped me sort out that one for myself. Can you spot the Wharetana piece? Thanks Ed - yes it's the perfect vase for Gladioli as well. 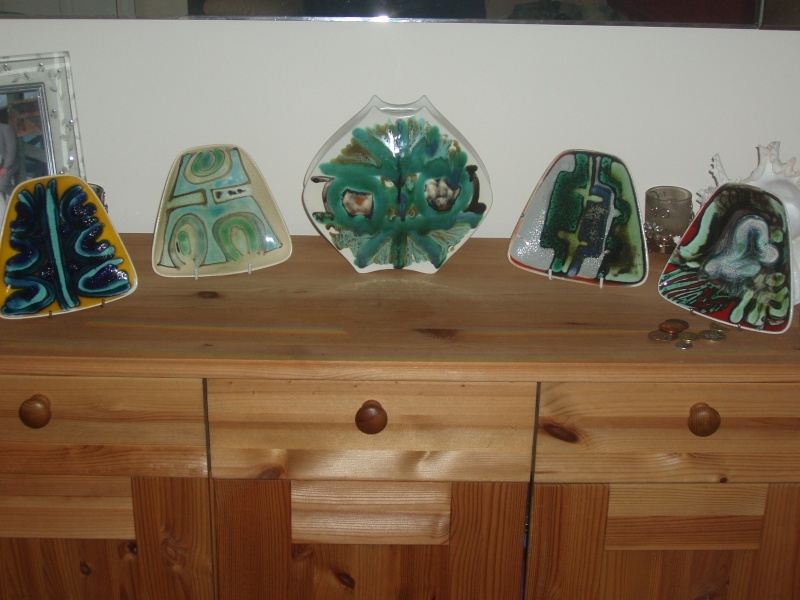 The green one at the front is a Carstens (I think), some of the very few vases I own that I can actually identify. You guessed correctly - it was either children or vases and vases won. Great collection of Keith Murray. I'm particularly liking the middle shelf with the small blue shoulder vase and the grey conical bowl. What's the size of the bowl - it isn't one of the 7.5 inch heigh by 10 inch wide ones? Yep! although it's actually more like 7 inches by 9.75 inches, started collecting pre kids but have only bought about 3 pieces since. Having kids is like severing a cash artery!! My collecting fix is now restricted budget wise to bargain finds at the local flea market and car boot sales. Gone are the days of blowing £500 at Newark or in an auction! What a great piece to have ! Rare enough in the extra-large size, but having it in grey as well. I can understand why the kids aren't allowed to even breath in the same room. My constraining factor at the moment is the other half who has implemented a "one in, one out" policy over my collecting. Having to decide what I'm prepared to give up to purchase another piece is curtailing a lot of my activity. so what do you want to sell me Kurt? I had a little shuffle around of some pots today and think these studio pieces go quite well together .